Since returning from Bosnia, ATF agent Alex “Rocket” Duarte has been slowly reacclimating to life in South Florida. But when a gunrunner’s car explodes, Duarte’s life kicks into high gear in a high-profile hunt for what appears to be a serial bomber. 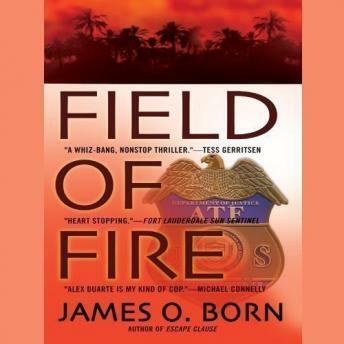 Teamed up with a lawyer from the Department of Justice who herself is looking into possibly related bombings in Virginia and Seattle, Duarte crisscrosses the country, following the bomber and hoping to anticipate his next move, but as he peels away the layers of deception, the lines between friends and enemies begin to blur—and the results are explosive.